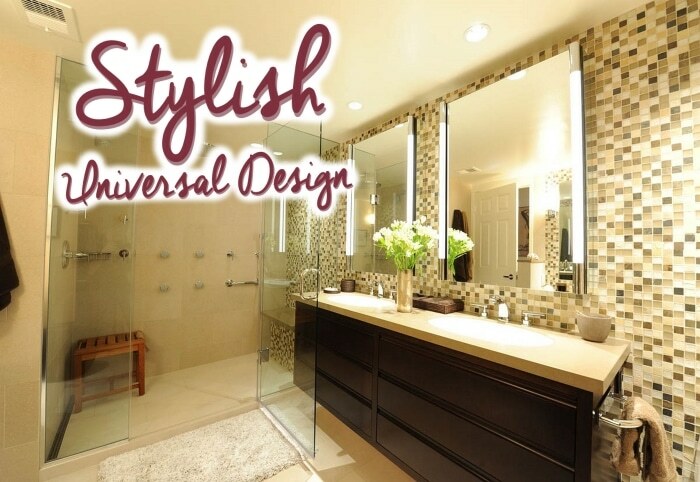 When you are in the process of designing and remodeling your home, maybe you have heard the term Universal Design. Now becoming more widely recognized, this key element in designing homes and buildings will help consider everyone who uses these spaces; from infants, children, teenagers, adults to the elderly, who may have limitations on mobility, or may not. Universal Design is a way to make spaces accessible to the widest range of people possible and will benefit everyone! Some might think about a restroom that is designed and equipped for a handicap person. Everyone knows of these stalls in public bathrooms that stand out from the rest. They are larger, have grab bars surrounding the commode, and don’t always reflect an attractive looking space. Maybe they seem cold and sterile, and may remind you of a hospital. Some people might have a misconception that Universal Design has to, or will just look like these unattractive rooms, which really doesn’t have to be the case. In fact, design and remodeling companies who are practicing and implementing Universal Design guidelines have made a great impact on spaces that reflect great Universal design with exquisite taste. 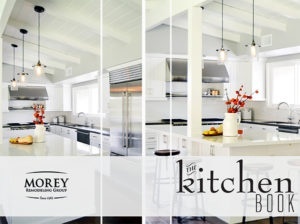 Universal design elements that will be considered when designing your home are, doorway widths, door handles, faucets & sinks, grab bars, lighting & light switches, flooring textures, thresholds, stairways, plus more… Designers at Morey Remodeling have also been certified through the NAHB (National Association of Home Builders) to be Certified Aging in Place Specialists (CAPS). This training teaches what it takes to make a home more accessible and easy to use for everyone. With this knowledge, your design team can guide you through decisions, planning and selecting products and materials that will help make your space a Universal Design.